New addition to our caffeint free collection! A delectable range centring magnificent Rooibos as the star ingredient. Also known as "Red Tea", this beautiful herb is known for its health benefits all over the world. Originally grown in Africa, this brew has been consumed for hundreds of years as an aid for Asthma, other diseases and to promote healthy skin. 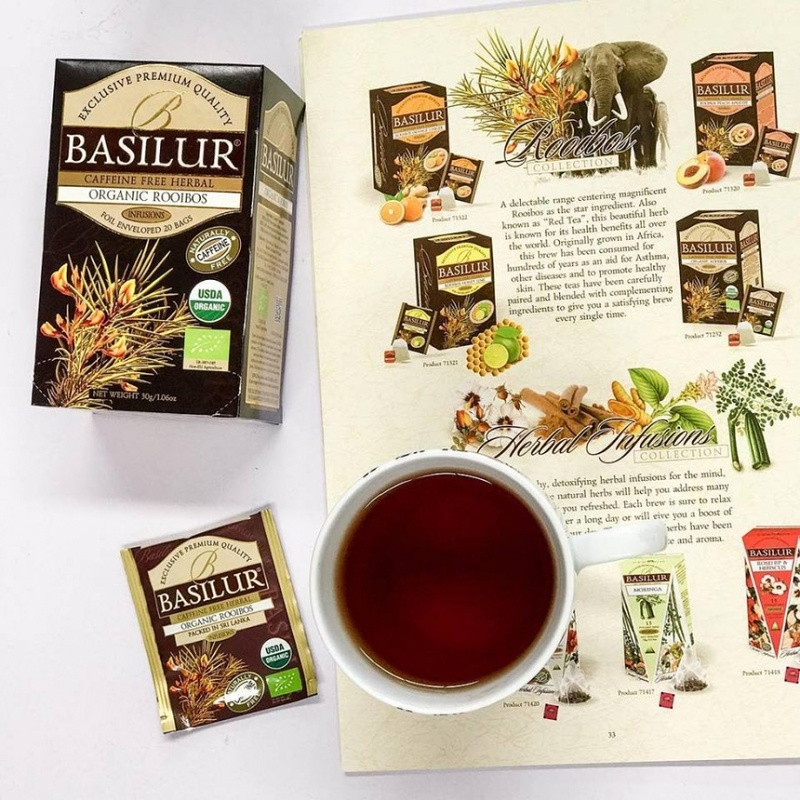 These teas have been carefully paired and blended with complementing ingredients to give you a satisfying brew every single time. South African Organic Rooibos, also known as 'Red Tea' contains very high levels of antioxidants as well as several minerals. This delicate infusion is full of natural goodness and made from the selected Organic gardens. This caffeine-free herb makes a rich, red brew with full-bodied flavour. Delicious on its own or swirled with milk and honey.